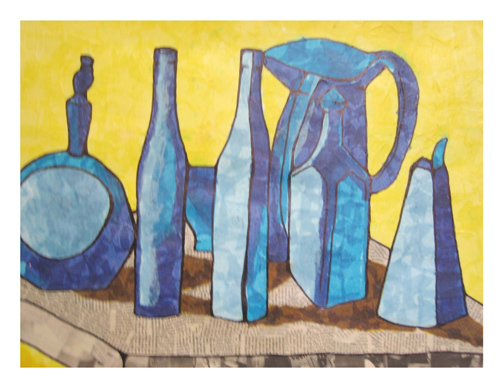 Assignment: Create a compostion of simple forms using bottles, inspired by Morandi's drawings and paintings. 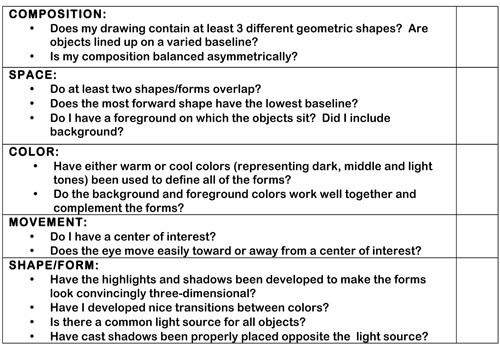 Vary the baseline and overlap several of your forms. Draw the composition, and then represent it using transparent layers of tissue paper. Select a warm or cool color scheme for the objects. Position a light source, so that the shadow can be easily seen within the objects and as they are cast on the table.